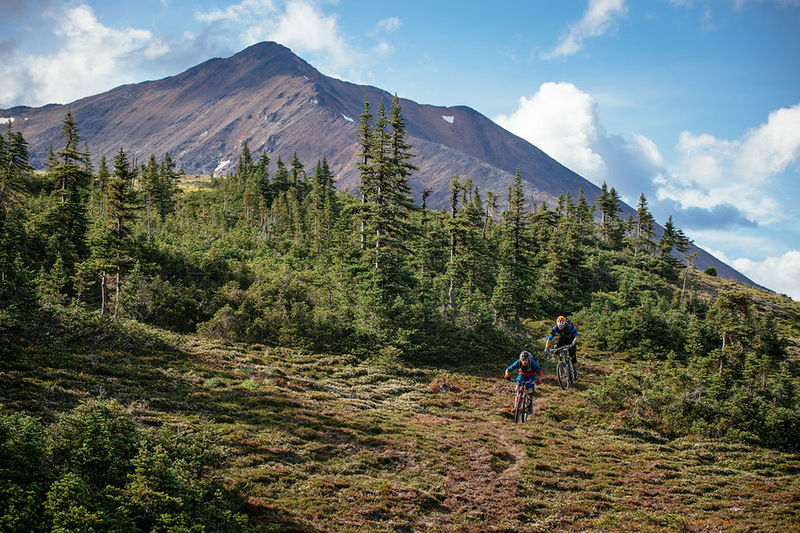 Mountain bikers now have an even greater choice of how they want to experience British Columbia - RACE or RIDE! The globally recognized logo of the BC Bike Race is affectionately named B.O.B., which stands for 'Bear On Bike'. B.O.B. has been the proud symbol for BC Bike Race for 10 years and after many years of celebrating a SOLD OUT status BOB is on the move and starting to roam north - introducing BC Bike Ride North, coming August 5-13, 2017. Registration opens on February 7th at 9am. This ultimate road trip experience will connect 7 communities in British Columbia, including North Vancouver and 6 northern communities: Williams Lake, Prince George, Burns Lake, Smithers, Terrace and Prince Rupert. 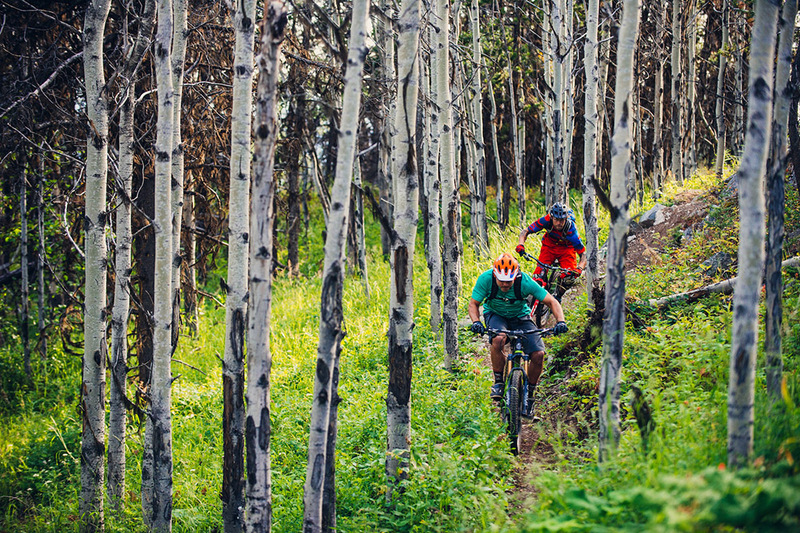 Riders will explore 14 unique stashes of incredible purpose and hand-built singletrack. This is an intermediate to advanced all-mountain adventure and the best access to each specific trail networks will be provided each day. With a limited enrolment of only 100 spots, this adventure will provide a deep dive into the lesser known areas of British Columbia that have been slowly and steadily developing some world class trail networks. Beyond the riding, guests will be immersed in rich local culture and history. This 3000-kilometre journey will start in Vancouver and finish 7 days later in the Great Bear Rainforest on the coast of the Pacific Ocean. Riders will enjoy transportation by plane, train and luxury bus while our experienced BC Bike Ride crew will seamlessly orchestrate all of the logistics - just as we have become internationally known over the last decade with BC Bike Race. Gourmet meals and unlimited local craft beer are just a part of the basecamp experience that will include nightly campfires and entertainment. What's the difference between BC Bike RACE and BC Bike RIDE? At our race things are a bit more structured; racers are being timed on a set course that everyone follows which makes it competitive and drives the bucket list goal of becoming a BC Bike Race Finisher. In any race, it isn't typical to 'session' a feature or re-ride a trail that you really enjoyed - time is of the essence and you must keep going! But at BC Bike Ride participants will have that freedom. It is about exploration on your own terms and about picking your own unique adventure each day. We get the riders there and show them the way, but they get to choose how, what, and how much they want to ride. There will be recommended routes, detailed maps, local guides, and shuttles to get to trails. Planned epic rides, shuttles of 'down-country' riding, DH laps, XC, enduro, DH, freeride, dirt jumping, and more will be available daily - in BC we just call it all 'mountain biking'. Join the BCBR crew and other like-minded mountain bikers on the maiden voyage of the BC Bike Ride in Northern BC - coming August 2017. Your ultimate road trip experience awaits! This new venture is the result of many years of dreaming and planning, so we are excited to finally launch it and start our next decade of adventure tourism in BC. Come make your own history with us this summer!